This beautiful Spanish plaza can be found in Villanueva de los Infantes, which is near the village in which St. Thomas of Villanova was raised. I like to think Falvey’s subject librarians emulate St. Thomas as they assist faculty, staff, students and visitors with their research needs. 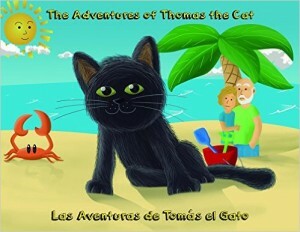 On a lighter and only slightly related note, you might want to check out this cool summer book for kids featuring Thomas the Cat (or Tomas el Gato). It’s written in both English and Spanish! Photo of Plaza Major used with permission from Carlos Barraquete and the Asociacion de Amigos del Campo de Montiel, whose website is a Tribute to Campo de Montiel.